Explore our range of heartwarming, authentic and 100% natural products. All New Kurkuri Bhujia is fried spicy noodles of Corn Flour. It is having the health benefits of Corn and rich in fiber. International brand of packaged Sweets, Namkeens Papad and Sherbets. 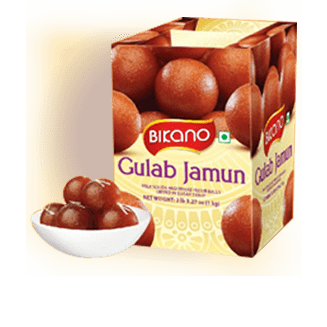 Bikano's packaged products have always been a big hit with customers in both India and abroad. Their food products like namkeens, cookies and syrups have made it the most preferred in between meal snack all over the world. Bikano's concept of constant innovation through the use of modern technology for packaging retains its original flavour for maximum time period. With this vast variety of finest packaged products one can always ready to celebrate a sweet moment , any time , any where. Bikano products are available in Bikanervala & Bikano Chat Cafe outlets and in leading super markets and retail stores in India & abroad.